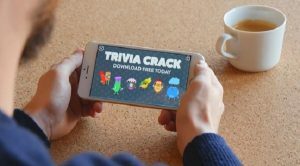 Thanks to analytics and market research, the mobile gaming industry can now be estimated and understood better. These research reports cover the changes in the market, including percent share of gaming activities in each country, reports on gaming sessions, and reports on the trends of consumer behaviour. The highest proportion of the number of sessions in mobile games was established in the US (20%) followed by India (13%). There was a very small gap between the third, fourth and fifth highest proportions by the number of gaming sessions played. These positions were taken by China (7%), Brazil (5%) and Russia (5%) respectively. The US could have taken the lead because of the presence of a large population. Although this could also be typical of the Chinese population, there are certain restrictions put in place by their government that restricts when and how long the mobile games are played. In 2016, fewer gaming sessions were experienced, although the time spent per session was longer than the previous year. This could be indicative of the growth of consumer preferences in gaming, leading to some level of patronage towards particular games. This may also be attributed to an increased differentiation in mobile games which may be the driving force behind patronage. Although these sessions were found to be spent mostly on casino games (15%), there was a general spread of sessions among other categories such as racing, strategy, and board games. This implies that casino games are gaining more prominence and this can be attributed to the legalisation of the casino industry in many countries. One of the most conspicuous behaviour of consumers is in the use of mobile devices. It was established that players mostly tended to use smartphones in the morning and tablets in the evening. This could be attributed to playing mobile games as a pastime while commuting to work, and as entertainment when relaxing in the evening.